Commercial operation has started at Advanced Power’s 700 MW Carroll County Energy natural gas fuelled CCGT plant, built to sell into the PJM market. It is in an area with low priced natural gas production, as well as being close to AEP’s 345 kV transmission lines and Kinder Morgan’s Tennessee gas pipeline system. 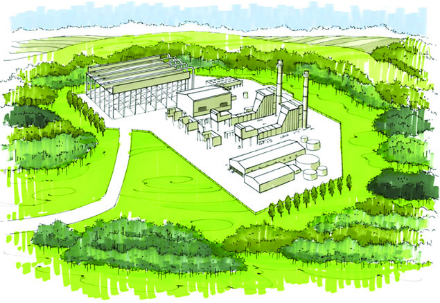 Plans to build Carroll County Energy were announced in July 2013. In April 2015, Advanced Power closed the $899 million project financing. Equity investors are TIAA Investments, JERA, Ullico, Prudential Capital Group and Advanced Power. Providing senior secured credit facilities for construction were BNP Paribas, Credit Agricole and eight other commercial banks. The facility, which features two GE gas turbines, each with HRSG and selective catalytic reduction, plus a steam turbine, was built by Bechtel under a turnkey contract. Ethos Energy is operating the facility, which employs 22 people, while Advanced Power continues to manage the business. The plant employs air-cooled condensers, minimising water consumption and waste water discharge.